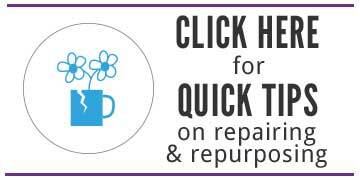 Have You Heard About Repair Cafés? It’s an international movement launched in the Netherlands. According to the Repair Café Foundation, there are now more than 950 repair cafés worldwide with 18 in the UK. Repair cafés offer individuals with ‘fixing’ expertise to come together to perform a useful service for their community, while enjoying the camaraderie of friends and neighbors. Inspired by presentations and followup surveys conducted at the ‘Makers and Fixers’ conference, in June 2014, my own Centre for Sustainable Design ® at the University for the Creative Arts in conjunction with Transition Town Farnham, decided to launch a repair café in Farnham Surrey, UK. Supported by a steering board that includes a range of technical and management experience, it is funded through donations at events and ad hoc grants. Here’s what we’re learning at the Farnham Repair Café. Farnham Repair Café offers a space to ‘re-craft’ products and provides an opportunity to practice haptic (hand-to-head) skills and complete technical fixes to broken gadgets, alongside experimenting with new ideas to produce art and products from waste through upcycling. FRC also offers a place to socialize and network, and fits in well with Farnham’s identity as a crafts town. More specifically, Farnham Repair Café offers a monthly ‘Place and Space’ for Farnham’s citizens to come and get products fixed and to ‘share in the repair’. It was launched in February 2015 and, as at January 2016, 11 sessions have been organized with 433 attendees. Farnham Repair Café has been primarily focused on repairs but there is also scope for creativity. Broken consumer products can be brought to the ‘creative zone’. As part of the creative process, FRC encourages town residents and students to experiment and explore new ideas around upcycling of products – re-assembling product parts for a new intended purpose or for an improved function. Product owners visiting Farnham Repair Café either have the opportunity to have their broken products repaired or are given advice on how to repair or recycle them. Volunteer repairers value the opportunity of sharing their knowledge and skills with local townspeople. Central to FRC is the ‘Share the Repair’ #ShareRepair (twitter hashtag) philosophy that encourages all product owners to participate in the repair process and learn how to do repairs themselves. A successful repair should increase the useful lifetime of a product and therefore divert waste from landfill. If the repair is beyond the capability or capacity of the Repair Café, product owners will receive advice on how and where their product may be repaired or recycled. The aim is for the product owners to come away with a greater understanding of how their product works and why repairing is a better solution than recycling or binning it! Farnham Repair Café also aims to cooperate with local repair businesses by acting as a supportive hub offering access to those local repair businesses and encouraging them to get involved directly as volunteers in the Farnham Repair Café to help promote their business. It is hoped that FRC will become a catalyst for a more efficient and robust repair ecosystem in Farnham by providing a useful intervention in the waste stream that presently does not exist. How Does The Farnham Cafe Work? Electrical equipment being fixed at the Farnham Repair Cafe. Product owners bring their broken products to the Farnham Repair Café and then explain the problem to volunteer repairers. Then the product owners are directed to appropriate repair stations where diagnosis is undertaken, advice is given and repairs are completed where feasible. Farnham Repair Café operates every second Saturday of the month from 10.00am to 12.30pm. It is hoped that regular monthly activity establishes a familiar pattern for visitors perhaps linked to a Saturday morning shop or visit to the town. It’s been exciting and gratifying to see the response from the Farnham community – the residents who ‘get back’ their proverbial toaster or lawnmower, and also, to give the ‘repairers’ the opportunity to use their skills and to come together to provide a useful service to neighbors and community. Here are a few quotes from some of the folks who repair for us. My very first repair was a hardly used electric lawnmower. Other FRC volunteers gathered around eagerly and helped disassemble the gleaming machine to find a snapped drive belt. An internet search and a phone call located a suitable replacement and the mower sprung back to life bringing a big smile to our faces. I thought to myself; it’s always good to save a life even when it’s a lawnmower’s! Last month a guy returned to the repair café with his toaster and mentioned that he had managed to shorten three pairs of trousers on his own and proudly displayed the pair he was wearing. I had previously shown him how to use a sewing machine to neaten the raw edge after we had cut off the hem and show him how to hem without a ridge showing. My favourite repair was to a broken concertina-type clothes-drying rack. The solution was to discard the broken bits, reconfigure the good bits, and we ended up with a less tall drying rack. The owner was pleased because it had originally been too tall and prone to fall over. So we diverted 75% of the metal from landfill, and improved the design and functionality as well. I’ve really enjoyed working on numerous sewing machines … often accompanied by “this machine used to belong to my mum and when I told her I wanted to start sewing she gave it to me”. The problems are usually simple to fix and it was great to see so many people taking up sewing with such enthusiasm. An elderly chap bought in a DVD player where the tray wouldn’t come out. After stripping down, lack of lubrication revealed a mechanical lock on the mechanism. I freed it off, and voila! — all working. On another occasion, a couple bought in an ancient CD/Radio where the on/off button wouldn’t do it’s job. After stripping down (not easy) I found that the on/off button had become detached from the mechanism inside to impact on the circuit board switch, so I suggested using a rubber tipped pencil in place of the fitted switch. It worked a treat and they were ecstatic that they had their old radio back. Which of these Items would you bring to a repair cafe if there was one in your community? Want to start a repair café in your community? Here are some resources that you might find helpful. Feel free to contact me as well if I can help you personally. This and other stories published on WeHateToWaste.com are intended to prompt productive conversation about practical solutions for preventing waste. Opinions expressed are solely those of the contributors and WeHateToWaste implies no endorsement of the products or companies mentioned. All comments will be moderated and those that are overly promotional, mean-spirited or off-topic may be deleted. All postings become the property of WeHateToWaste.com. Martin Charter is a professor and director of The Centre for Sustainable Design at the University for the Creative Arts in Farnham, Surrey, UK. He is the co-founder, Farnham Repair Café. He is a veteran of over 25 years working on sustainability, business, innovation and design. He’s always thinking about creative solutions to problems and shifting mindsets from ‘trash to treasure’. Brilliant, absolutely brilliant. I was at what was then WSCAD, Farnham in the 70s, so glad to see someone from there contributing something really resourceful to the community. Good on you and all that are involved with this. What a great idea! Absolutely love it!!! Such a fantastic idea! The extent of today’s throwaway culture is truly scary. The fact that it is often more expensive to repair electronics rather than replace them only adds to our global waste problem and detaches us from understanding how products work. Repairing items has the power to associate more value to them. For example, when I fixed my broken phone screen in 9th grade, I became more attached to it, and still use it 6 years later! Thank you for your article! I didn’t know the existence of a place like that and I discovered that there’s also one in London. After this article, for sure I’m going to take a coffee and…repair something! I have long-wanted to get my local community involved in repairing household items. While repair cafés seem to be enjoying increasing success—and they are great for simple repairs—they don’t solve one problem. Labor costs. Most repair cafés are operating with volunteer repair labor, which is great for an afternoon but is not a long-term solution. I recently spoke with a local repairman who admitted little incentive to participating in such events. His very busy shop was filled with huge televisions, for which he can earn a tidy sum to repair. He stated he doesn’t get much other business because the cost to repair the items comes dangerously close to the low cost of new items. That narrow cost differential can deter consumers from bothering unless they can consider the larger intangible benefits of re-using an object, extending its life cycle, and keeping it out of a landfill. Still, repair cafés are of great value in gathering a community of like-minded individuals to brainstorm about this! Impressive track record of results, Martin. And wonderful that you kept track so scientifically. Would be good to see these numbers in the aggregate. I understand that there are 1000 repair cafes in Europe now. – J.O. Having explored some of the repair resources out there, it seems that “across the pond” people are a little bit more open and public about getting together and working on repair. I wonder why there are not similar groups in the United States? Repair cafe’s are one of my favorite new ‘social innovations’. There are about 1000 in Europe now. Thanks for sharing the article about bike repair stations. Hopefully repair cafes can help fix alot of the other stuff that seems to be too labor intensive to make profitable for others to fix. I know my own local FixersCollective here in NYC has fixed a range of items for me, including: iHome (radio), a wooden salad bowl, even a tea cup, and they are now working on a leaky coffee maker. And..glad to see you back here at WeHateToWaste! We’ve missed you while you’ve been in VA getting your PhD. – J.O. In an era of some products being purposely designed to have a shorter lifespan in order to keep the market flows, we need more repair cafes to show the world how objects should be treated correctly. The more challenging it is to repair an object, the harder that person is going to cherish it. And it should be where source reduction takes place. In an era of some products being purposely designed to have a shorter lifespan in order to keep the market flows, we need more repair cafe to show the world how objects should be treated correctly. The more challenging it is to repair an object, the harder a person is going to cherish it. And it should be where source reduction takes place.